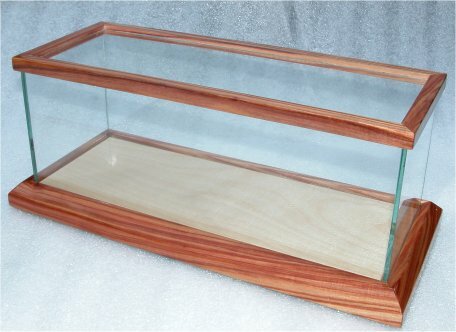 Exquisite Display Cases Now Available! cases will provide a fitting "home" to your most prized locomotives. a special ultra-violet light to provide a secure, long-lasting seal. has grooves in the base so the top fits perfectly to keep out dust. 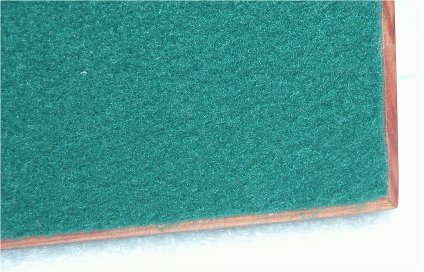 has a soft felt pad on the bottom to protect the surface beneath it. is guaranteed to make you and your locomotives very, very happy! Prices are VERY reasonable -- starting at around $100. Sometimes referred to as "Brazilian Pinkwood", Tulipwood has a rich pinkish golden hue with luminous salmon stripes. The general color is much lighter than any of the other Rosewoods. 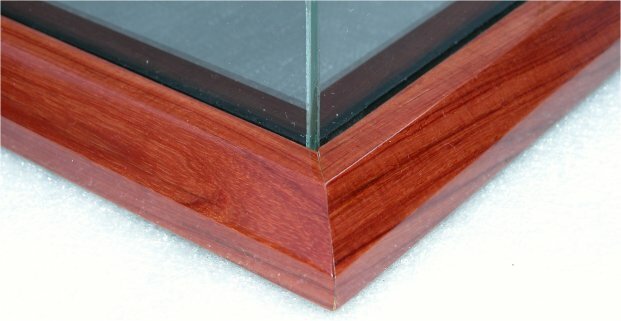 This rosewood is a deep rich, orange red with black striping and a dramatic grain pattern. Grain is straight to interlocked, often with many swirls. It is one of the most beautiful rosewoods in the world. 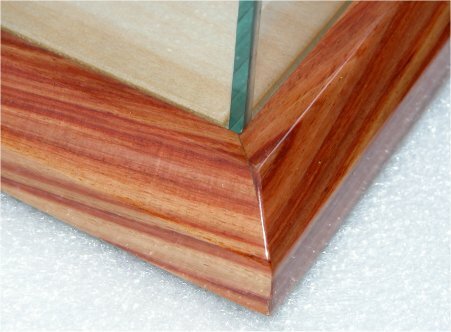 Bubinga can be an amazingly wavy-figured exotic wood, sought by guitar makers and small box builders alike... often referred to as an African rosewood, although technically NOT from the rosewood family. Mexican Rosewood has what can best be described as a "dramatic grain pattern". 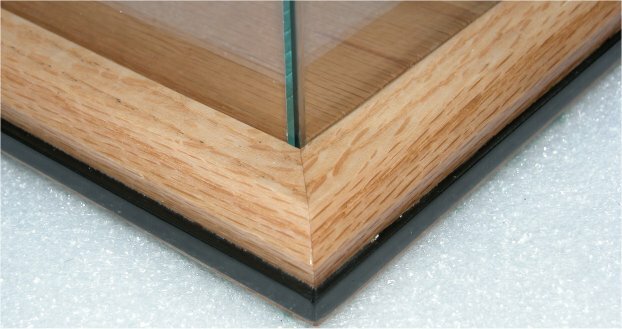 Please note how the grain complements the maple base to create a unique visual effect. This case is 18" long. 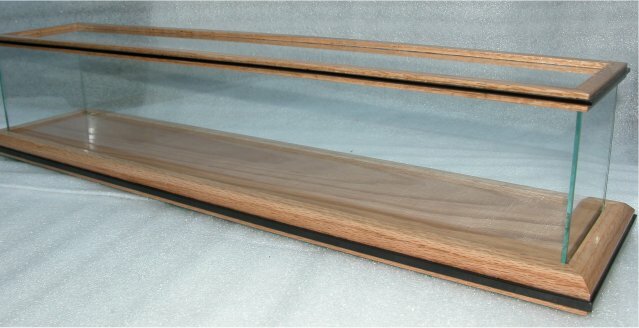 While any locomotive would look at home in this gorgeous all-oak case with ebony inlay, I can't help but think that this would most definitely be THE place to store and display your Marklin / TRIX Big Boy locomotive. The case pictured below, weighing in at a hefty 6 lbs., is 24" long (more than enough for even the Big Boy), but yours can of course be built to any length you desire. "Heavy Duty" are the words that best describe this incredible 24" long display case. 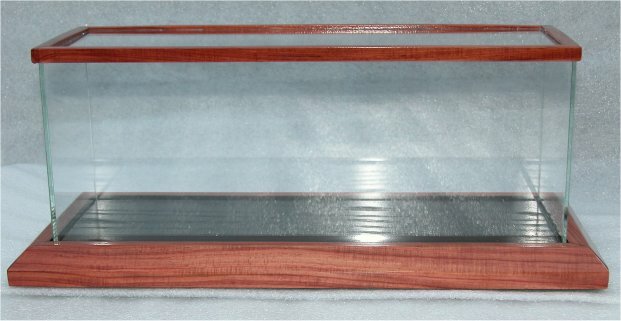 Made of bubinga with ebony inlay and a maple base, this case weighs an impressive 9 lbs. 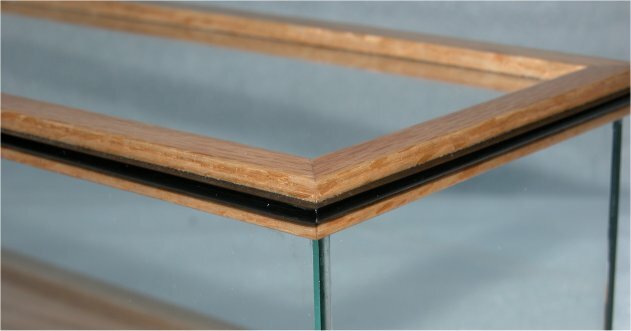 Every display case has a soft felt pad affixed to the underside, so you can place it anywhere safely!